In late 2013, major corporations such as Walmart, Nordstrom, Lowe’s, Macy’s, and Safeway began bankrolling the Association for Responsible Alternatives to Workers’ Compensation (ARAWC), a group that pushes legislation aimed at making it harder for workers hurt on the job to access lost wages and medical care. According to ARAWC’s membership application, full and founding members pay $25,000 a year to join. 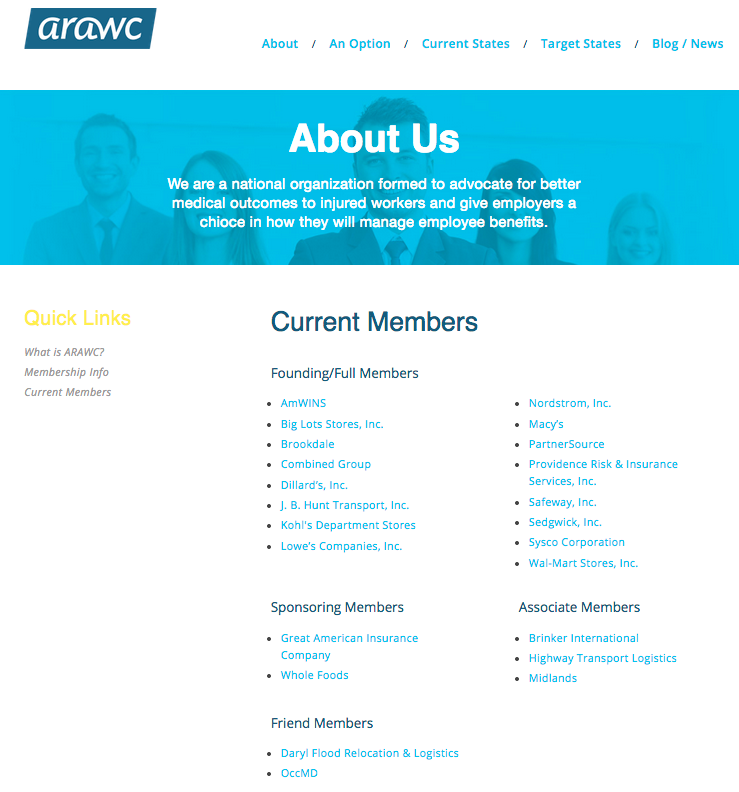 Sponsoring members, such as Whole Foods and the Great American Insurance Company, pay $10,000 a year. We’ve asked a spokesman for ARAWC why the group removed its “current members” page and will update this post with any response.